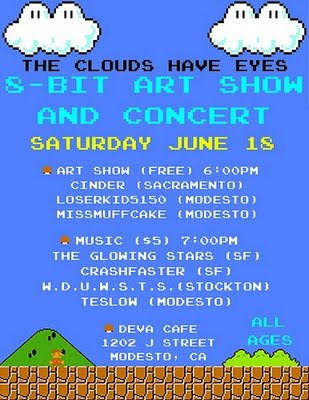 My boyfriend is organizing a 8- bit art show and concert next month - the first in this area. He made this poster and we have been putting them around town this week. 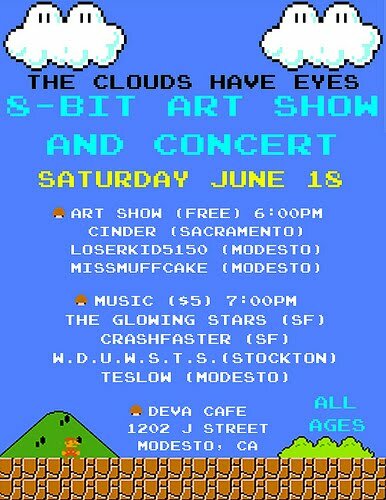 I started counting pixels last week and got out my perler stash...be on the look out - more of that later!